MOVE-IN READY EXPECTACULAR HOME 3 OR 4 BEDROOM ,2-BATH HUGE BONUS ROOM IDEAL FOR BILLARD , LIBARY OR GAME ROOM !! AMAZING YARD!!! This one -owner home! is fully updated & well maintained Features included Living, dining & family room a large open kitchen with granite countertops , closet pantry, newer stainless steel appliances ,new kitchen cabinets .The master bathroom features a large oval tub, separate shower tiled walls, dual vanities walking closet ,all tile flooring , huge back FENCED yard to bring your pets to enjoy FOR TOOLS AND LAWN MACHINE 2 GREAT SHEDS. The screened lanai overlooking the back yard is a great place. 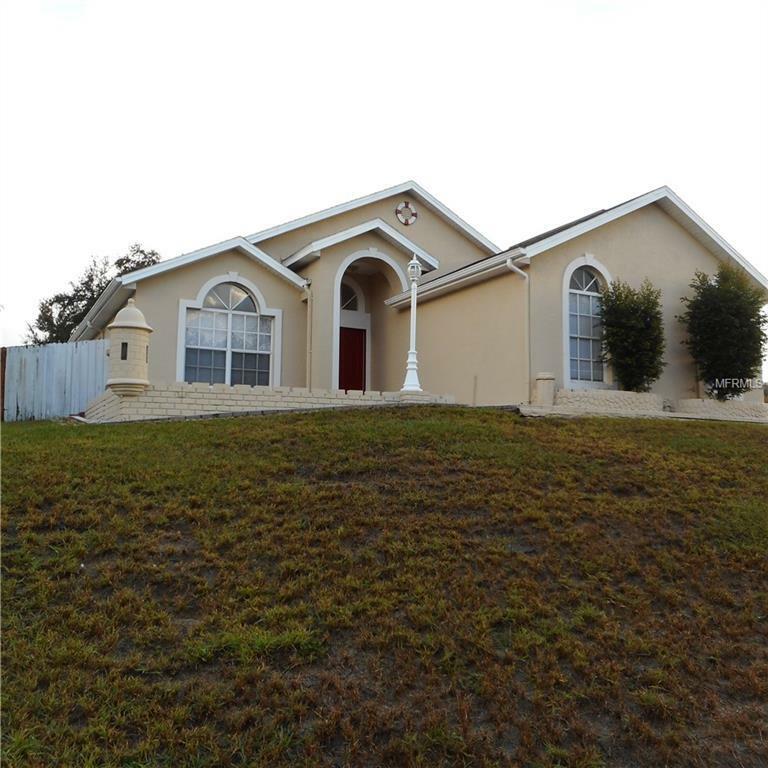 Owner will assist with closing costs for this beautiful no HOA house! check it out right away and make an offer. Listing provided courtesy of Central Realty Group And Properties.